I read this article and found it very interesting, thought it might be something for you. The article is called Forex Trendy Review | Forex Trend Scanner and is located at https://atibox.net/forex-trendy-review/. In this Forex Trendy review, you will learn what it actually does, the benefits, the pros and cons. For the Forex newbies, below in this review, you can find an overview of what is Forex and some basic knowledge. It quickly scans 34 Forex pairs on all time frames from minute to monthly. That’s 34 x 9 = 306 charts. Forex Trendy is a powerful Forex Trend Scanner that analyzes all the charts for you every second! This way, you get the best trending pair and time frame at any time you want. We all know that the biggest profits are made in trend movements, so traders spend so much time figuring out the best way to determine the trend of a Forex market. Conduct a fundamental Forex analysis to predict the underlying trend. This way of predicting the price of a currency involves reading, understanding and interpreting economic data such as monetary policy, interest rates or the economic growth of a country. Predict the Forex trend using technical analysis, trend indicators like the moving average or the MACD which are among the best known. However, there are many other MT4 and MT5 trend indicators. The Forex forecast is just a prediction, no one can say for sure what the Forex market will do in the course of a year but this type of technical analysis is based on identifiable recurring behavior in the foreign exchange market from year to year. This is how we can try to predict / predict Forex and take advantage of Forex market movements. Forex Trendy sotfware will help you to reduce unnecessary losses and to choose which pair and which time frame to trade. Some real testimonials of real Forex Trendy users. In this review I never make up fake reviews in order to influence your buying decision. What do i actually do when I trade forex? IF you are reading this review of Forex Trendy, you probably already know what is Forex. 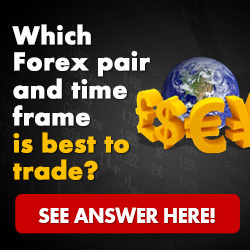 But for thos who don’t, Forex is an abbreviation often used to designate the foreign exchange market; it generally refers to the trading operations of investors and speculators in this foreign exchange market. For example, imagine a situation in which the US dollar is expected to weaken against the euro. A Forex trader, in this situation, will sell dollars and buy euros. If the euro strengthens, its purchasing power (to buy dollars) will increase. This is similar to stock trading. A stock market trader will buy a stock if he believes that his value will increase in the future, and will sell it if he believes on the contrary that its value will fall. In the same way, a Forex trader will buy a currency pair if he thinks his exchange rate will appreciate. The foreign exchange market is a decentralized global market, which determines the relative values ​​of different currencies. Unlike other markets, there is no centralized depository or exchange in which transactions are made. Instead, these transactions are carried out from scratch. For example, on January 3, 2011, one euro was worth about $ 1.33. On May 3, 2011, one euro was worth about $ 1.48. The euro has therefore increased its value by around 10% against the US dollar during this period. Why are exchange rates changing? Currency trades on a free market, as do stocks, bonds, computers, cars and many other goods and services. The value of a currency fluctuates when its supply and demand change, like everything else. An increase in supply or a decrease in demand for a currency can bring down its value. A drop in supply or an increase in demand for a currency can increase its value. One of the great advantages of Forex trading is the fact that you can buy or sell any currency pair at any time, depending on the available liquidity. So, if you think that the eurozone is close to collapse, you can sell the euro and buy the dollar (sell the EUR / USD pair). If you think the prices will appreciate, you can instead buy the EUR / USD pair. It also means that there is really no “seller market” in the traditional sense of the word. You can win (or lose) money whether the market is bullish or bearish. Trading occurs around the world during business hours in different countries. You can trade major currencies at any time, 24 hours a day. Since there are no fixed trading hours, this means that something is happening at any time of the day or night. Unlike other financial markets, where it can be difficult to be a seller, there is no limit on the sale of currencies. If you think a currency will go up, buy it. If you think it will go down, sell it. This means that there is no bear market in Forex – you can win (or lose) money at any time. As Forex is a market that represents $ 4 trillion a day, with much of the trading concentrated on a few currencies, there are still many traders. This means that it is normally very easy to enter and exit trades at any time, even on big trades. Thanks to the large liquidity available on the Forex market, you can trade Forex with a lot of leverage (up to 100). This allows you to take advantage of even small movements in the market. The lever is a double-edged sword, of course, as it can increase both your losses and your winnings. As the world is more and more global, investors are looking for opportunities where they can find it. If you want to have a general opinion and invest in another country (or be a seller), Forex is a simple way to invest in another country while avoiding problems like foreign securities laws and financial statements in your country. ‘other languages. I hope that you have found some value in this Forex Trendy review. You can always find more information directly on the Forex Tredy official website.